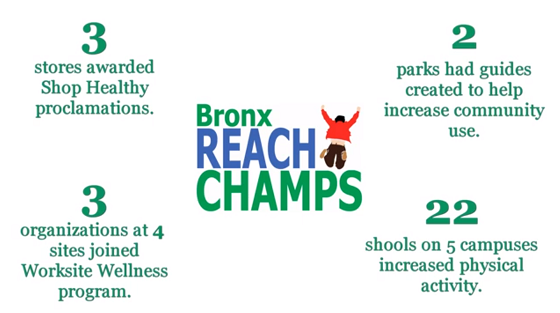 Bronx Community Health Network Director of Programs, Tashi Chodon, gave a presentation highlighting "BCHN's Impact on Community Health in 2015" during the 11th Annual Community Health Champions Recognition Dinner on Thursday, August 11, 2016. Every year during National Health Center Week, BCHN recognizes patients who have made remarkable strides in meeting their self-management goals, and honors partners who have made a significant contribution to the Bronx community. Ms. Chodon's presentation on the impact of the Community Health Promotion & Education Program (CHPEP) has become another highlight of the event. As CHPEP expands with additional staff and services, the reach of the program continues to grow. For example, in 2015, the team engaged and empowered 32,995 health center patients and community residents in education, health promotion and disease prevention. Find out more about BCHN's impact on community health during 2015 in the video below.